I’m sure you’ve all heard that you need 8 glasses of water a day. For some it may seem like a huge task to keep filling up with water and making endless trips to the bathroom (especially for us girls). However, water is the key ingredient for health and beauty. 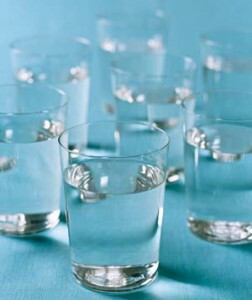 Without water our bodies will stop working properly and start showing severe signs of dehydration.